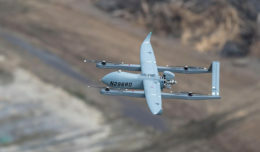 Casey Slusser, Contributor Maj. Gen. (ret.) Peter James Gravett speak to large audience about he and his father’s journey to become soldiers during the World War II and Civil Rights eras. 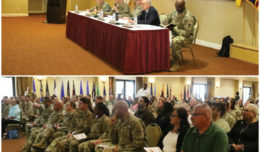 FORT IRWIN, Calif. ­ — Soldiers, Fort Irwin leadership and members of the Fort Irwin community attended an observance celebrating Dr. Martin Luther King Jr. Day at the Sandy Basin Community Center on January 30. 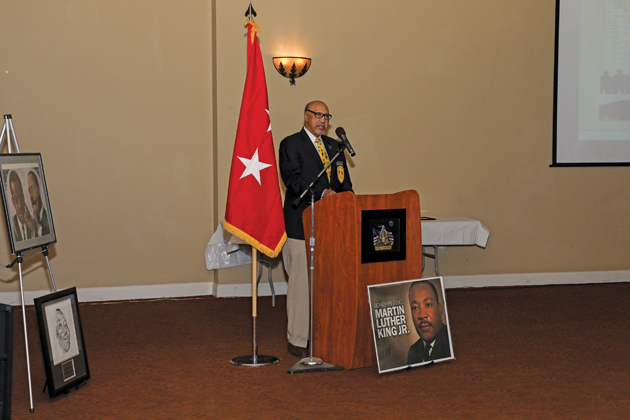 The Fort Irwin community celebrated the Civil Rights leader and minister with a commemoration recognizing his historical achievements. The backdrop of the event was, “Remember! Celebrate! Act! A Day On, Not a Day Off!” Guests first watched Dr. King’s, “I Have a Dream” speech, which Time Magazine declared the best speech of all time in 2002. The event’s speaker, Maj. Gen. (ret.) Peter James Gravett, was then introduced. He went on to talk about the great character of King. “Dr. King, as you know, was a remarkable person, and I have tried to pattern my life after his ideals, and the things he stood for. I’m still working on that as I stand here,” Gravett said. Gravett reminded everyone about the marches and protests King took part in that may have resulted in some being beaten, even though King held principals of non-violence. “Dr. King fought for the common man– not just Negros, but everyone who was disenfranchised, fought for women and their rights,” he said. Gravett believes King’s non-violent nature helped in his fight for equality. He said King felt nothing was going to be accomplished with physical retaliation. Gravett also shared a story of a soldier named Clarence who he remembered as “remarkable.” He said the man was a sharecropper from the Jim Crow Deep South who moved his family west in search of a better life. Soon after, he said that man was drafted as a driver in the United States Army– one of the few jobs, he said, blacks could obtain in the Army during World War II. Gravett shared how that man’s family lived off of the $4 a month the government allotted for a family of its size. Gravett then revealed the most important part of the story. Gravett said his father was proud of his time served as a US Army driver. Gravett went on to share his experience of signing up for the National Guard in the 1960’s and the difficulties he experienced finding the correct unit that allowed black guardsmen. This is when he would learn that even in progressive California, the Guard was still segregated. This was a shocking realization, as his experiences so far had all been integrated, because his neighborhood and high school were extremely diverse. As a Guardsman, Gravett took the initiative to become a police officer. Shortly after he was approached about going to OCS (Officer Candidate School) and commissioned as an officer. During this time, the California National Guard was integrated under Governor Pat Brown and this allowed him to rise through the ranks as a Division Commander. 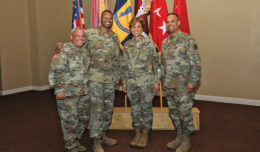 Gravett retired after serving 22 years in the Los Angeles police department and 40 years in the Army National Guard, including 35 in which he was a commissioned officer. “I’m a better person for serving my country in so many ways” he said. Gravett was also appointed to the Governor’s Cabinet, acting as Secretary of Veteran’s Affairs by Governor Jerry Brown. Gravett concluded that he would not have achieved his accomplishments without Dr. King’s work and advancements. Gravett met with the community, posing for photos and book signings in the back of Sandy Basin Community center after the event. The proceeds from his book, “From East Garrison to the Ranch House” finance the Clarence and Alice Gravett Foundation.